The mission of the First State Montessori Academy is to create successful, contributing, life-long learners in a FREE MONTESSORI public educational program for students in Kindergarten through 8th grade. First State Montessori Academy provides parents and students with an authentic, time-tested, Montessori education in a public school. We have seen firsthand that the creation of a Montessori public school in New Castle County, DE improves student learning, allows for greater choice for parents, and serves as a model for alternative approaches to education by providing a proven and innovative teaching and learning environment. Nearly five years ago, we embarked on a historic effort—the founding of First State Montessori Academy. The faith of many and the need for this type of education to be available as a free public offering, contributed to the power of a Montessori education being made available to hundreds of children in Delaware. 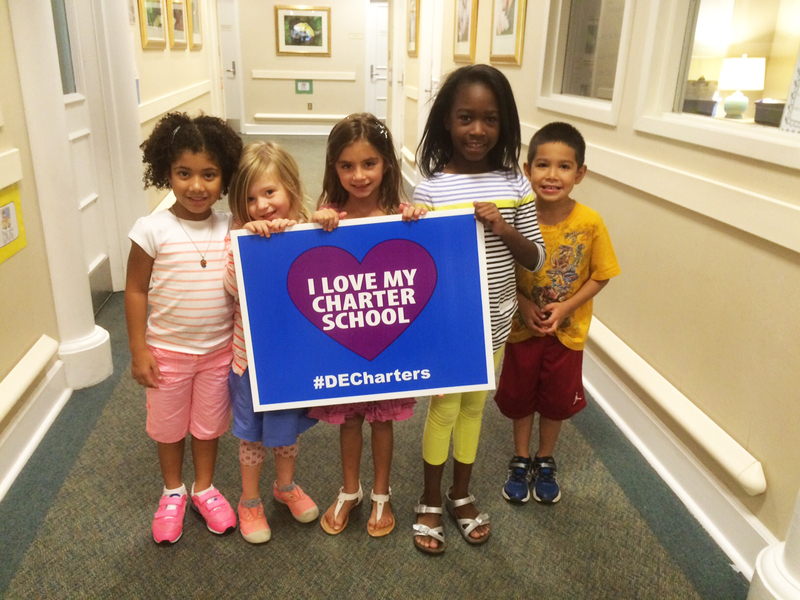 Today, its incredible impact is seen daily in our halls, by our families and on the landscape of Delaware education. FSMA is building on this strong foundation – adding Middle School and growing to more than 600 students. Last summer, we began extensive renovations to our Upper School building to develop an inviting Montessori environment that meets FSMA’s exacting standards and allows students to experience joyful learning, while enriching them not only as learners, but individuals. Our commitment to personalized education extends to our planning efforts, as we have thoroughly outlined several stages of expansion and renovation. 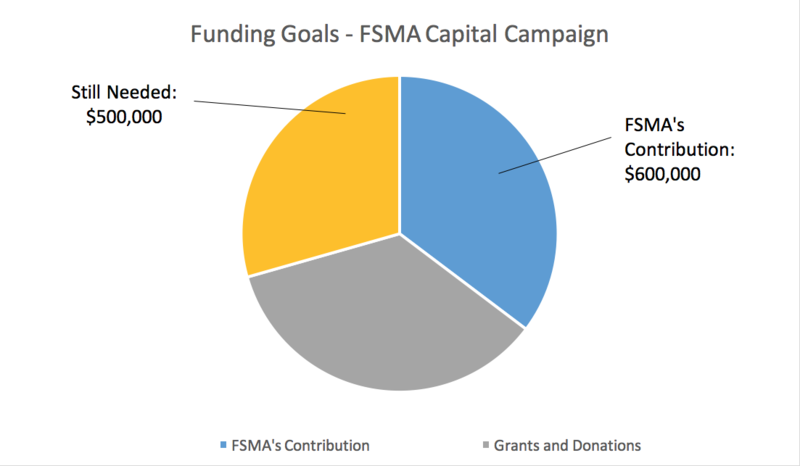 As a charter school, FSMA receives no public funding for any of its facilities. This means that the school must pay for its two buildings—the rent, maintenance, and renovations—on its own. Yet, strong financial stewardship has enabled FSMA to lease the Upper School without taking on debt. Moreover, FSMA plans to self-fund a large portion of the total $2 million renovation budget. In the past few years, FSMA has renovated many spaces in both the Lower and Upper School – creating a Lower School movement space, creating large classrooms, updating bathrooms, partially soundproofing the gym and adding bleachers, adding an art space with a kiln, updating wiring and technology, updating sprinkler systems, as well as our biggest project – building out the entire third floor of the Upper School. We are reaching out to you as your values align with ours. Plus, our children and families, now and in the future, will greatly benefit from all you are able to offer. With all you now know about FSMA, before you decide on the amount of your gift, please consider the importance of our school’s mission, the impact FSMA has on so many children today and will have for many years to come, not to mention, the returns FSMA brings to the larger community. As you look through this packet, I am confident you will be delighted by our plans. We are not only building classroom walls but also transforming the students’ experience and journey at First State Montessori Academy and beyond. Since its opening in 2014, First State Montessori Academy has experienced tremendous growth. Enrollment has increased from 278 students to almost 600 students, and we have doubled our footprint in the city by acquiring a second building. In the upcoming years, we will grow to almost 650 students. We are excited about the opportunity to design the right learning spaces in our new building. FSMA has carefully assessed and prioritized our needs, in a deliberate process that involved working with other schools, researching innovative learning environments, and identifying what spaces our new Upper School curriculum will demand. After carefully analyzing the needs and plans, we have developed a plan to address the current and future needs of FSMA. FSMA is utilizing the incredible talents of Fearn Clendaniel Architects to create spaces that align with our Montessori mission in a cost-efficient way. FSMA classrooms are being designed to meet the recommended square footage of the American Montessori Society’s guidelines, as well as be spaces with natural light and natural finishes. This is Where Your Help is Needed! Your support for this capital campaign will have a lasting impact: it will help increase the number of Delaware children who benefit from the excellent public Montessori education that FSMA provides on a tuition-free basis. Your gift will help ensure that for many years to come Delaware children experience joyful learning in an inviting, carefully developed Montessori environment. These children will be well prepared as lifelong learners ready to become engaged, responsible, contributing members of the Delaware community and future work force. What Can You Expect From Us?Commitment: FSMA will continue to provide a tuition-free, authentic Montessori program as a public school option for all children in DelawareGrowth: The expansion of a strong, innovative school in downtown WilmingtonAcademic Excellence: Did you know? Overall, our state-wide test results show that we are making strong gains in all areas. In a comparison to last year’s data, the average grade level increase was 12% with gains as much as 23%. These are strong increases, especially when compared to the state averages which showed little to no gains from last year to this year. Giving Back: Our students and staff will continue to look for opportunities to give back to our community and support our local businessesResponsive Teaching: FSMA will continue to deliver a high-quality education to fit the diverse needs of our student bodyCommunity Relations: We continually reach out to nearby neighborhoods and increase awareness about Montessori and FSMAPersonal Investment: FSMA will build on its strong parent involvement and engagement at all grade levelsStewardship: FSMA prides itself on sound financial management.